Top Ten Tuesday: Ten Spring TBR (To Be Read) Titles Ricki and Kellee’s #MustReadIn2017 Spring Update! 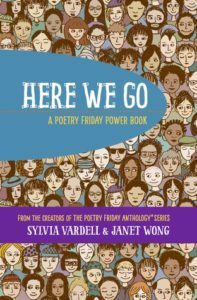 Summary: Here We Go: A Poetry Friday Power Book is a story in poems and a writing journal designed to help kids think about social change. 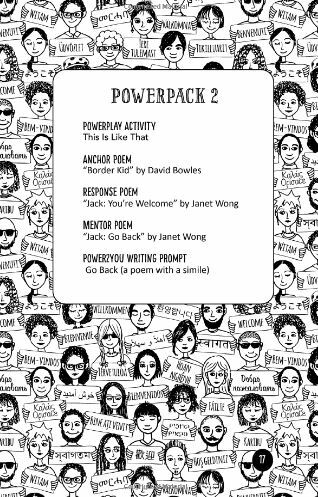 It contains 12 PowerPack sets featuring Ameera, David, Jack, and Jenna, a diverse group of kids working together to make an impact in their community. Sylvia Vardell’s inventive PowerPlay activities make it easy for writers to get inspired, while her Power2You writing prompts extend learning. Vardell also created extensive back matter resources for young readers, writers, and activists. 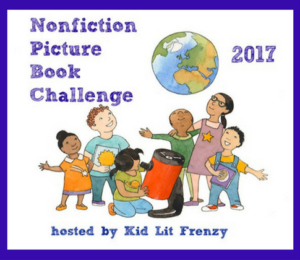 This book is a Children’s Book Council “Hot Off the Press” selection for January 2017 and the second Poetry Friday Power Book. 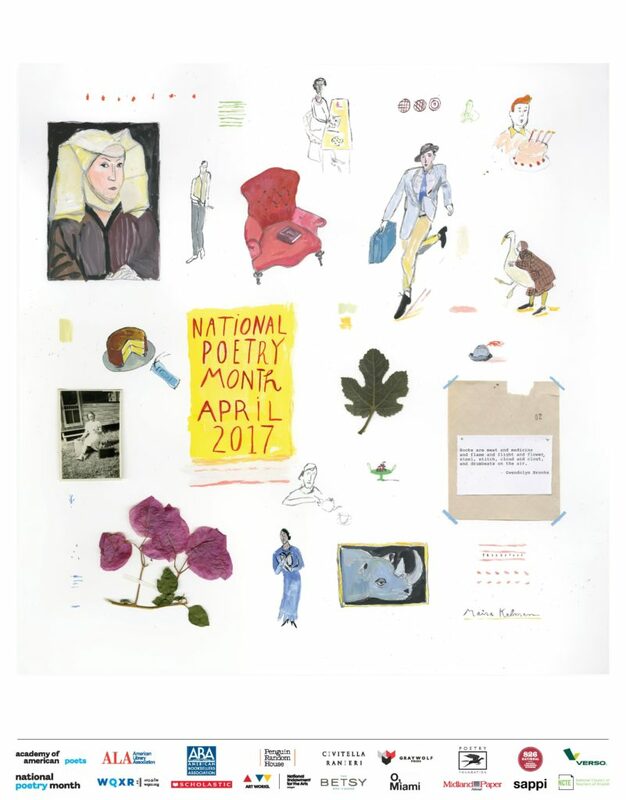 The first book in that series, You Just Wait: A Poetry Friday Power Book, is a 2017 NCTE Poetry Notable. 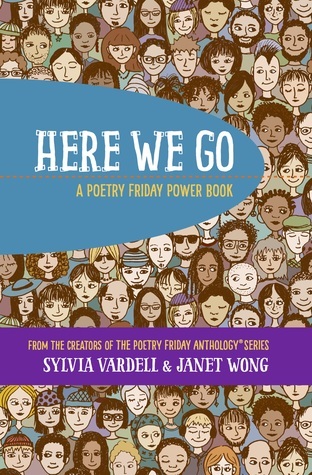 About the Authors: Here We Go: A Poetry Friday Power Book features the work of the dynamic team of Sylvia Vardell and Janet Wong, plus 12 poets: Ibtisam Barakat, Michelle Heidenrich Barnes, Robyn Hood Black, David Bowles, Joseph Bruchac, Kate Coombs, David L. Harrison, Renée M. LaTulippe, Naomi Shihab Nye, Margaret Simon, Eileen Spinelli, and Carole Boston Weatherford. Illustrations by Franzi Paetzold. Sylvia M. Vardell is Professor at Texas Woman’s University and teaches courses in children’s and young adult literature. She has published five books on literature, as well as over 25 book chapters and 100 journal articles. Her current work focuses on poetry for young people, including a regular blog, PoetryforChildren.blogspot.com, since 2006. Janet Wong is a graduate of Yale Law School and a former lawyer who became a children’s poet. Her work has been featured on The Oprah Winfrey Show and other shows. She is the author of 30 books for children and teens on chess, creative recycling, yoga, superstitions, driving, and more. 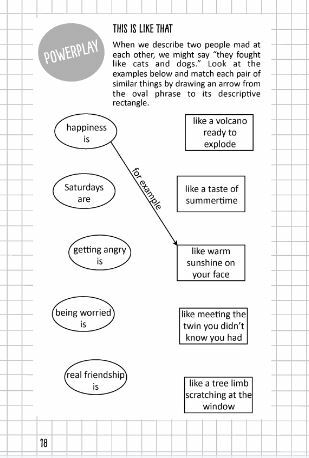 Have fun reading and thinking about poetry and learning about how poetry uses just a few words but says so much and can inspire us to take action. Ready? Let’s “power up” and get started! Review: I have an interesting relationship with poetry. I overall love it. I love writing it, and I love reading it, but I really have trouble with the analyzing aspect. 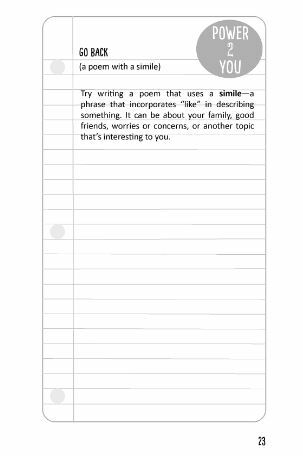 It is in this very serious analyzing step that kids get afraid of poetry, but I think books like Here We Go help students learn to love poetry instead of being afraid of it while still teaching about the beauty and importance of poetry. Teachers’ Tools for Navigation: Here We Go is a book that is made for classroom use! There are 12 PowerPacks, each with a different anchor poem and focus. Some PowerPacks work on rhyming, some work on format, and others focus on inspiration. There are so many different ways these PowerPacks could be organized to be used in the classroom! They can be daily during a poetry unit or weekly for half of the school year–whatever works best in your classroom, but this book is begging to be in children’s hands as an inspiration for our future poets. Discussion Questions: What inspires you to write? ; What is your favorite season? Why? ; What are your favorite rhyming words? ; How can you use your daily life to inspire you as a poet? It’s a wonderful book, I agree, Kellee. So many times recently I’ve wished I was back in the classroom to share some of the terrific resources now available.